This record is EXACTLY what you think it is. 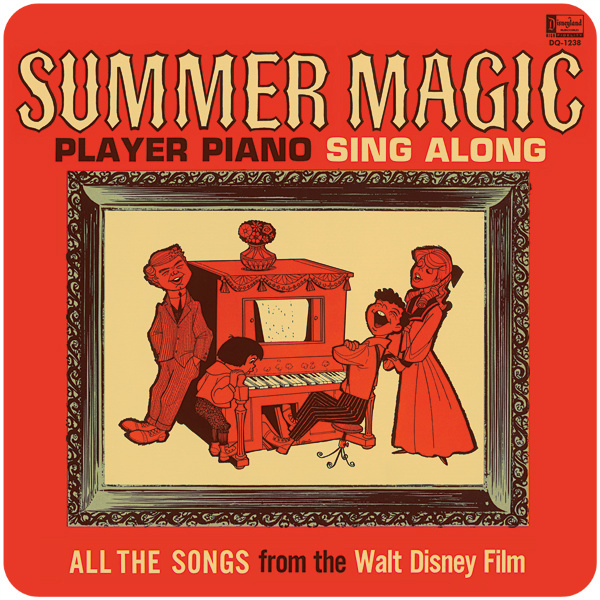 Piano versions of hit songs from Summer Magic. If you've listened to the Disney Hipster Podcast or read one out of ten blog posts here, you might have realized my affinity for this terrific Hayley Mills vehicle. BUT THESE ARE NOT INTERESTING JAZZ VERSIONS/RAGTIME VERSIONS! They are simple piano versions clearly to a click track. That is not to say they are bad. In the realm of Disney music I would simply file this under HWBMG (house work back ground music...I just made that up, see what I did there??) 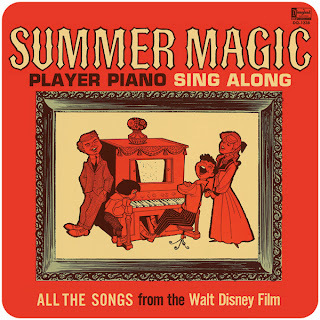 It is very pleasant and its a lot of fun to mix this in with your usual Disney shuffle. "oh, hey! I know that song!" The first seven songs are directly from the film, and the last two are added as padding. In case you were wondering, the context of this album indeed exists. Nancy and the gang swap out their beautiful old piano for a more "modern" player piano at the beginning of the movie, out of desperation. The following charming shenanigans ensues, culminating with the arrival of my beloved Dorothy McGuire. While "researching" i also found a charmingly simple youtube video of someone recently playing an ACTUAL player piano with a Flitterin scroll. If someone wants to buy me this scroll (and also a player piano) go ahead.